I sold both of these pieces today. It's like parting with an old friend. I just loved this rebuilt china cabinet with the shelf we added for addtional storage. We tried a number of baskets on the shelf but finally chanced on these and they were an absolute perfect fit. What can I say? 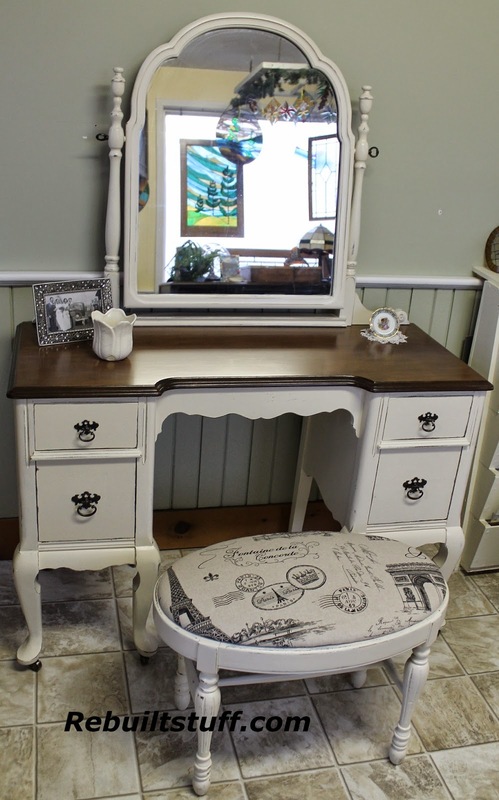 I just loved this vanity. The graceful legs, beautiful bench...such a lovely vanity.